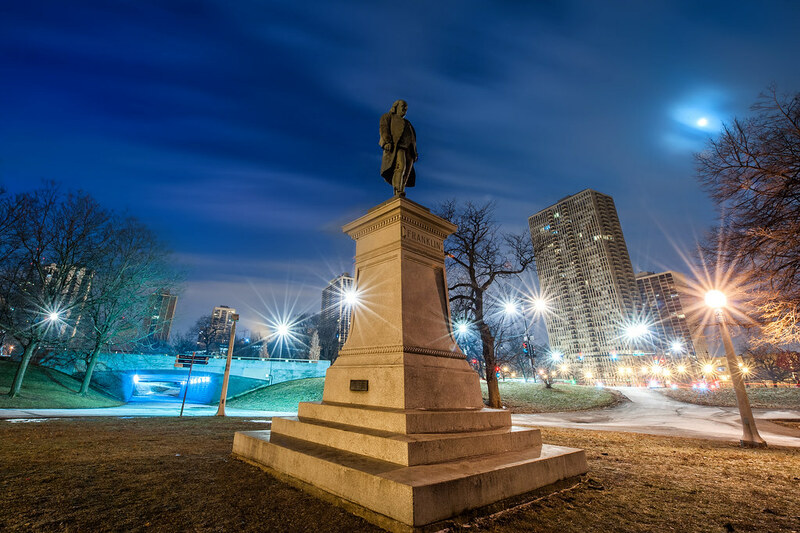 This is the Benjamin Franklin Monument in Lincoln Park, captured early last Sunday morning. This particular shot is a 54 second long exposure. The Benjamin Franklin Monument in Lincoln Park.